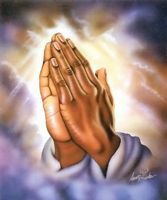 Dear Jesus, Mary and all saints, I come to humble hearted for the following need: I pray for my parents, sis, bro in law and sister for the health, job, peace and happiness. I pray for heera’s health, she is suffering from back pain, please heal her. I surrender our wedding on 07th may 2012. I surrender my new job at your feet, I pray that immigration officer issues visa w/out any problems. I pray for the purgatory of Pinto fly Manglaore, Sircar & bose fly in Vizag. Prayer for peace in the world.